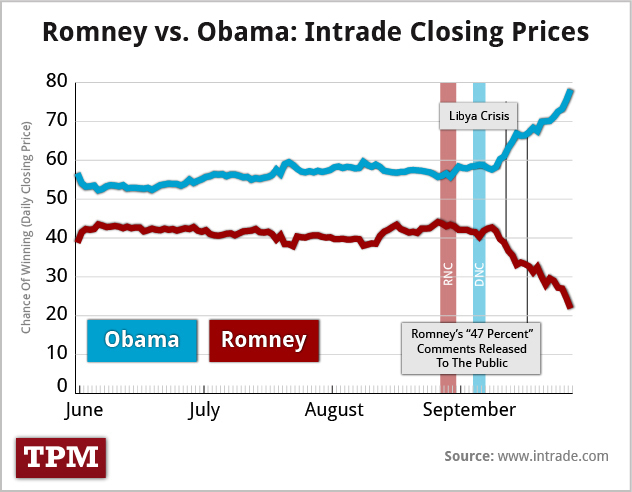 Intrade has Obama at 71%. Must say though, that this has been some serious up/down sice May. A new resource for political bloggers – thanks Josh! The season is almost upon us and Talking Points Memo has very thoughtfully launched a new site, PollTracker, that features – are you ready bloggers? – a Presidential Dashboard! Great stuff – all the polls, all the breakdowns, the latest in the swing states. 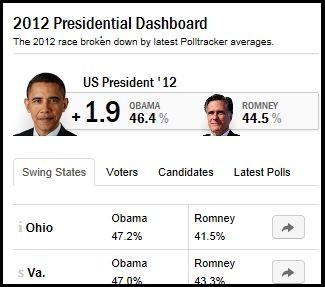 I was surprised to Obama leading (sometimes only by a nose) in all 12 swing states. Today, anyway. I expect to visit often. And so should you. I’m m-e-e-l-l-t-i-i-n-n-g . . . 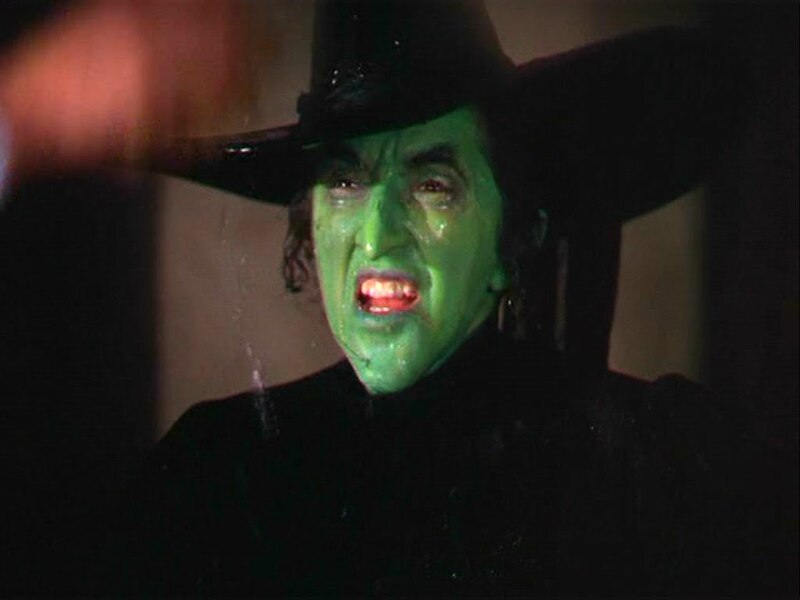 Imagine the pudgy face of the serial-adulterer and debater-in- chief in place of Margaret Hamilton’s iconic visage here. Polls not looking good for Mr. “I will be the candidate”.
. . . after several days in which Romney has hammered Gingrich over his consulting work for mortgage giant Freddie Mac, the former Massachusetts governor leads the former House speaker, 40 percent to 32 percent. The Newtster is sure having him some fun and dreaming dreams of what I think is his real goal – “a series of three-hour Lincoln-Douglas style debates”. Without a moderator of course. It’s not a stretch to think he’s less interested in the Presidency than he is in 12 hours in front of the cameras with a real President. 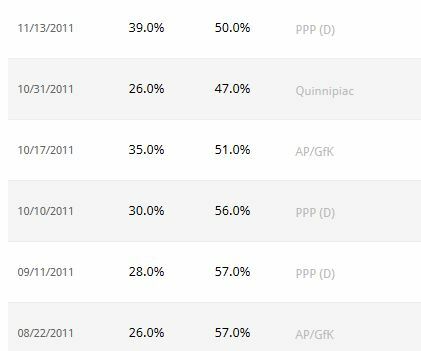 In August 2011, Gingrich had a favorability rating of 26% and an unfavorability rating of 57%. By December 2011, he was up to 43% favorability. Big jump. And yet? 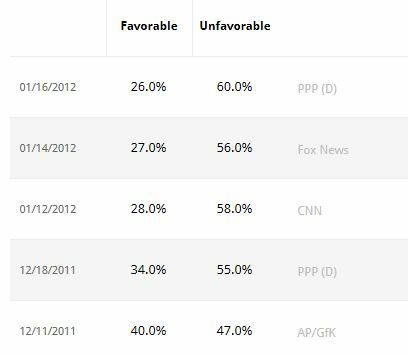 Last week, Gingrich has a favorability rating of 26% and an unfavorability rating of 60%. Even more people don’t like him. That’s how it always goes with Gingrich. 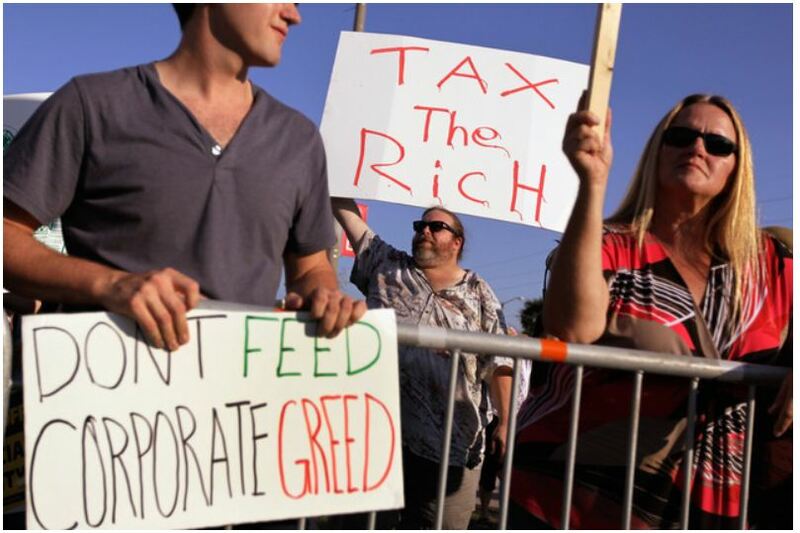 More than two-thirds of Americans, including a majority of Republicans, say wealthier people should pay more in taxes to bring down the budget deficit, and even larger numbers think Medicare and Social Security benefits should be left alone. . . .
More than 8 out of 10 Americans say the middle class will have to make financial sacrifices to cut the federal deficit even as the public just as strongly opposes higher taxes on middle-income families, according to a Bloomberg-Washington Post national poll conducted Oct. 6-9. 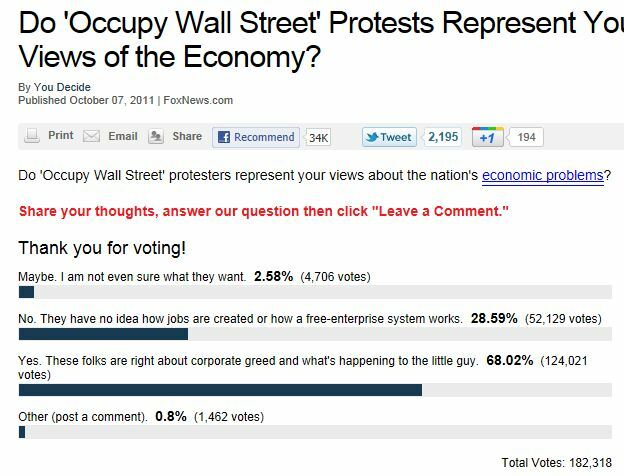 “While Americans see sacrifice as inevitable for the middle-class, the only sacrifice to win majority support is a tax on those too wealthy to be considered middle-class,” says J. Ann Selzer, president of Des Moines, Iowa-based Selzer & Co., which consults with Bloomberg News on polls. By the way, tonight’s Republican debate will be broadcast only on Bloomberg. Wonder if this will make the air? Roadblocks? They both do it. Exactly the same. No. It’s not exactly the same. This chart is from a poll done by The Economist wtih their polling partner YouGov. The story and more charts here. Was Obama born? Did Osama die? That Obama birth certificate almost shut down the party – but thankfully here’s a-just-in-time replacement. Party on. Now comes word from noted pollster John Zogby that while an overwhelming majority buys the administration’s account, a surprising almost one-in-five likely American voters believes the Al Qaeda founder is not dead at all, nor buried at sea, as Obama officials have stated. Oh, the lazy, it creeps . . .
Actually, the poll isn’t especially shocking. As The Hill points out, “52 percent of Americans said President Barack Obama doesn’t deserve reelection in 2012” — a number that is almost identical to the proportion who disapprove of the job he’s doing (50%). Considering how President (George W.) Bush has performed so far, do you think he deserves to be reelected or would the country probably be better off with someone else as president? The results? 36% said Bush deserved to be reelected, 42% said the country would be better off with someone else, and 22% said it depends or weren’t sure. These numbers are actually worse than Obama’s relative to the 55% approval/32% disapproval numbers the Fox poll showed for Bush. Rinse and repeat: Is Texas still seceeding? I’m registered into a two hour EPA webcast seminar on preparing RFP’s for local project. (I volunteer with a civic organization working on estuary waters and storm runoff – subjects about which I know exactly nothing.) Scintillating it is not. So I’m multi-tasking and listening with only one ear. 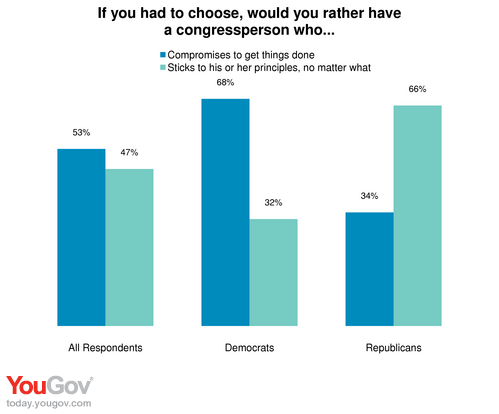 Markos Moulitsas commissioned a fascinating poll in January, getting a better sense of exactly what rank-and-file Republicans are thinking nationwide. …I’m putting the finishing touches on my new book, American Taliban, which catalogues the ways in which modern-day conservatives share the same agenda as radical Jihadists in the Islamic world. But I found myself making certain claims about Republicans that I didn’t know if they could be backed up. So I thought, “why don’t we ask them directly?” And so, this massive poll, by non-partisan independent pollster Research 2000 of over 2,000 self-identified Republicans, was born. The results are nothing short of startling. Quite right. A plurality of rank-and-file Republicans wants to see President Obama impeached. More than a third of self-identified Republicans believe he wasn’t born in the United States. A 63% majority is convinced the president is a socialist, about a fourth believe he wants terrorists to be successful, and about a third think Obama is a racist who hates white people. Nearly a third of Republicans think contraceptive use should be outlawed. A third of Southern Republicans want to see their state secede from the union. Now where are they getting those ideas?